Expedia's e-Commerce Platform (eCP) team is at the heart of Expedia's business. Our eCP technology and operations platforms power Expedia's online travel brands worldwide. eCP teams are diverse – we build and maintain foundational systems and infrastructure like Transaction Platforms, Financial Systems and Data Centers. Our business operations include Customer Service as well as Payment and Fraud Operation teams. You will participate in the design, analysis, development, test, and deployment efforts for multiple enterprise application projects to solve complex business problems. You will collaborate with Engineers, Program and Product Managers, and Production Support in an agile development environment. You'll join the development of web applications and robust well-engineered distributed systems as part of the engineering team. You will use cloud computing (AWS) to further solidify our infrastructure. You’re passionate about solving customer problems, including curiosity about how things work today and passion for making them better. You can nimbly flex from nitty-gritty details up to the big picture to identify and communicate what truly matters. You are able to perform and influence code reviews as well as technical design meetings. You have rock solid coding skills. You have a team-first mentality with the ability to build and maintain strong working relationships across disciplines and organizations. You have a track record of successfully delivering high quality, web applications and distributed services with large transaction volume on a 24x7 operational cycle. 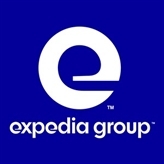 Sr Software Dev Engineer at Expedia, Inc.